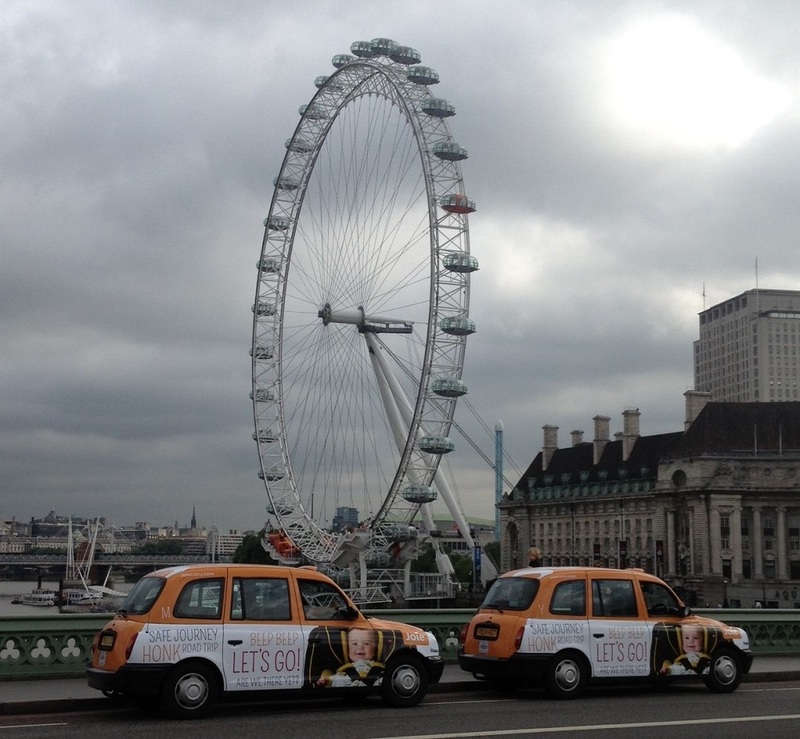 Baby home and travel furniture brand Joie are about to gain access to the public of London, with the launch of a taxi livery campaign from Transport Media. From the 1st August, a fleet of branded vehicles will plant Joie within the city for a 12 month duration, establishing a presence for the products with additional coverage from tipseat and receipt pad marketing. Featuring the cheerful Joie logo, the campaign artwork utilises friendly sans-serif typography in order to effectively reflect the brand’s role as a parental helping hand. A large ‘hello’ accompanies a smiling baby securely strapped into a car seat, with copy that describes the product catalogue as a ‘collection of simply brilliant solutions designed and engineered to make your life easier’. The trademark ‘bring the kids’ motto and Joie website are featured across the adverts, with an additional QR code displayed on the tipseats. 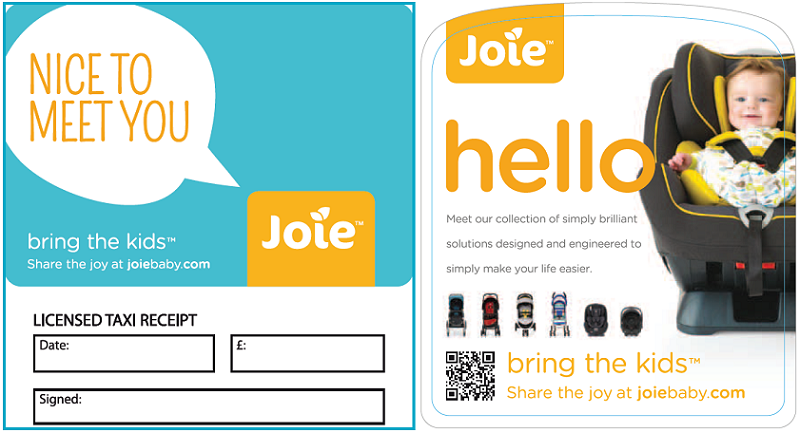 Formed through a group of friends and parents aiming to minimise the work involved in having a small child, Joie offer a range of car seats, pushchairs and related products that allow families to ‘bring the kids’ with minimal effort. Their stylish catalogue presents a fusion of seamless design and optimum safety, combining desirable elements such as resilience and portability. 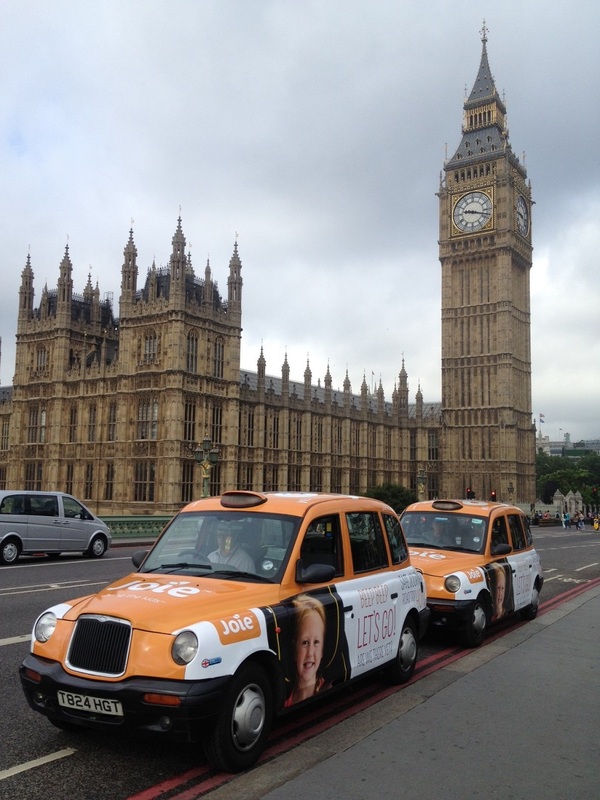 Joie’s campaign with Transport Media will successfully generate awareness for the brand throughout London, targeting the public at street level and in prime pedestrian locations. 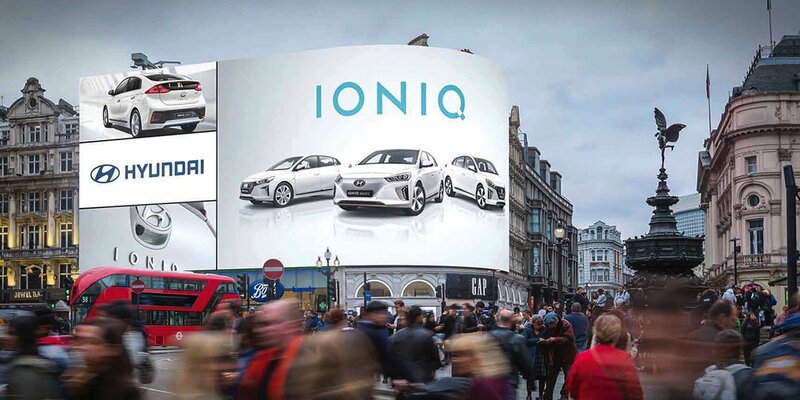 The enduring accessibility afforded through 12 months of advertising will fortify the company as a competitor in the retail sector, using the iconic format of a full taxi livery to take Joie past the millions of residents and visitors in the city. Tipseat and receipt pad branding will also extend the campaign reach right into the hands of the affluent taxi-using audience.